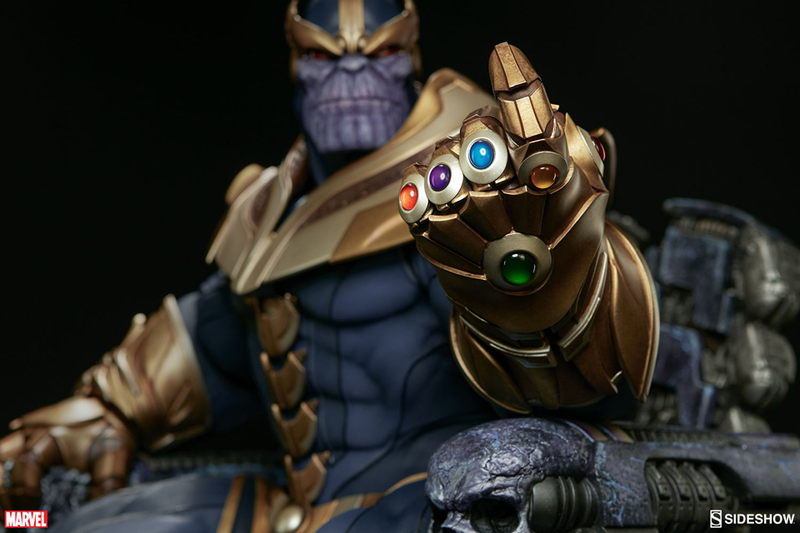 One of the most hyped up movie villains of all time gets the extra special Sideshow Collectibles treatment. 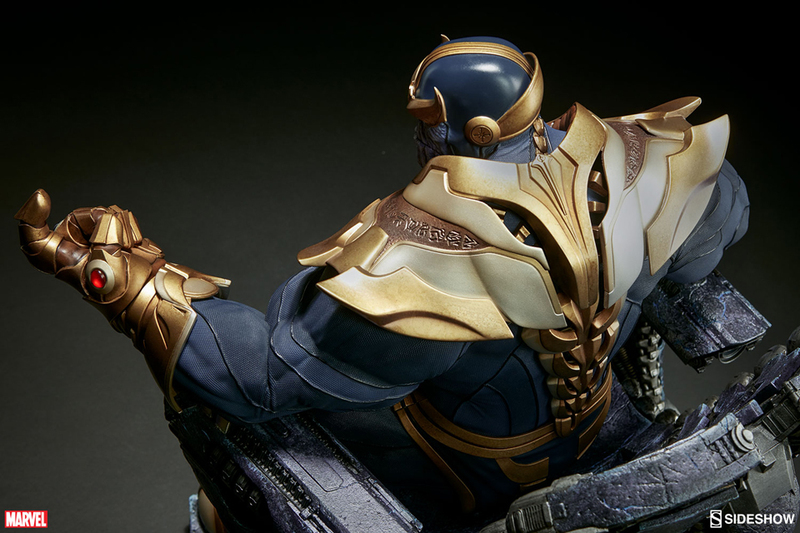 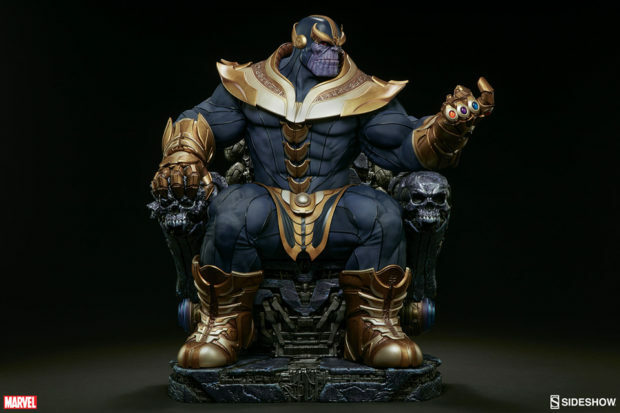 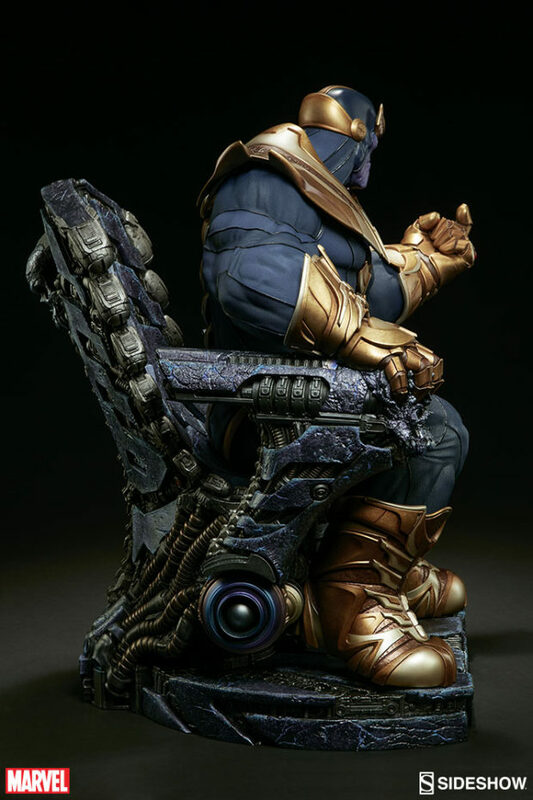 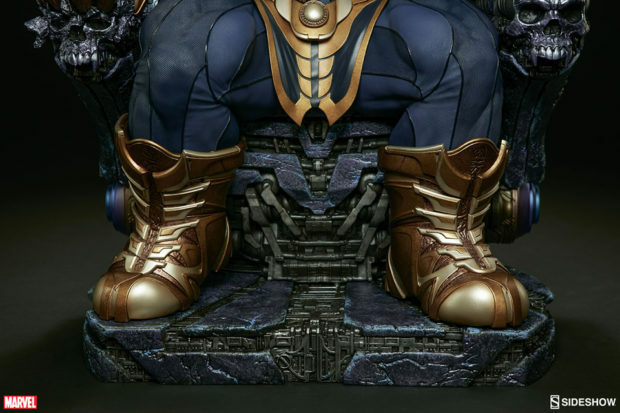 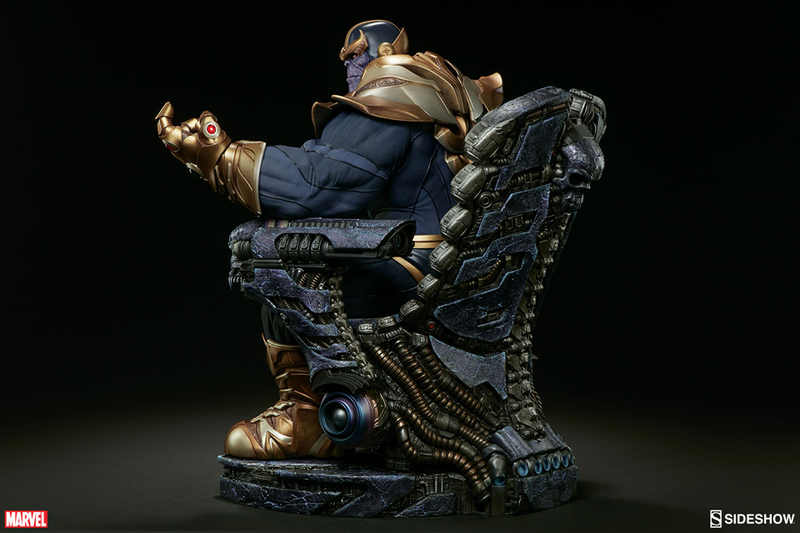 The company’s Thanos on Throne Maquette is an imposing masterpiece, a 21.5″ tall and 35 lb. beast of a statue. 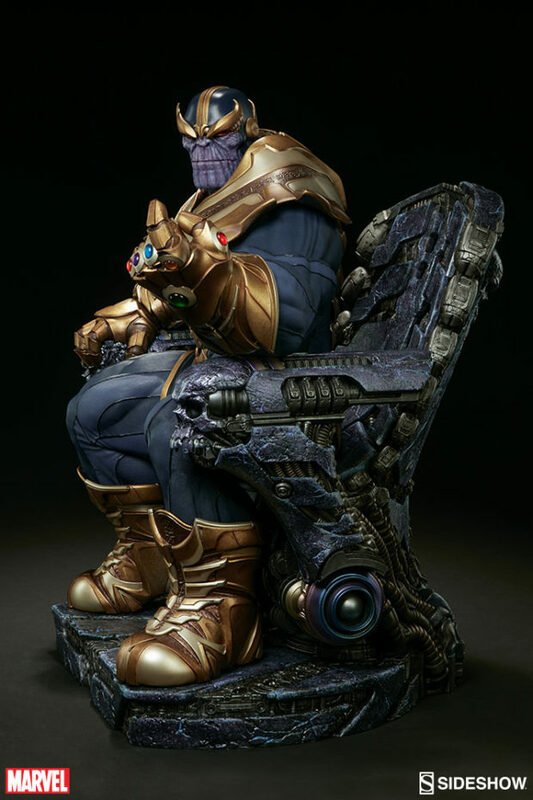 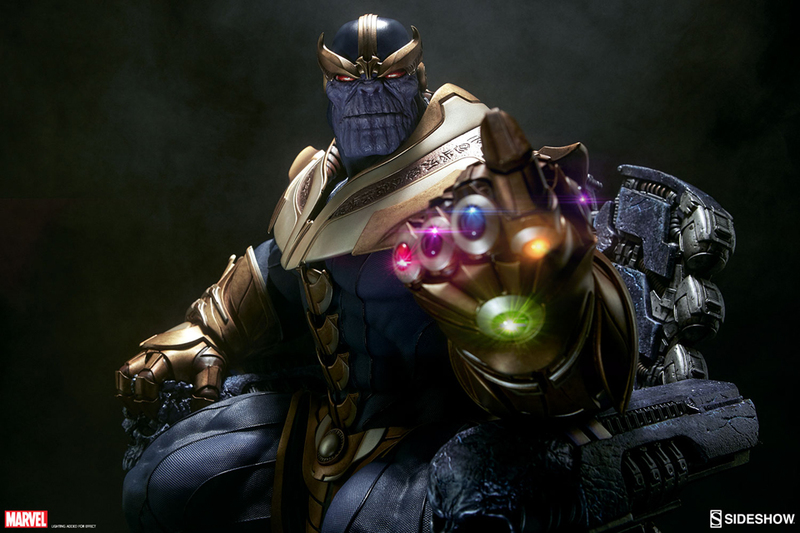 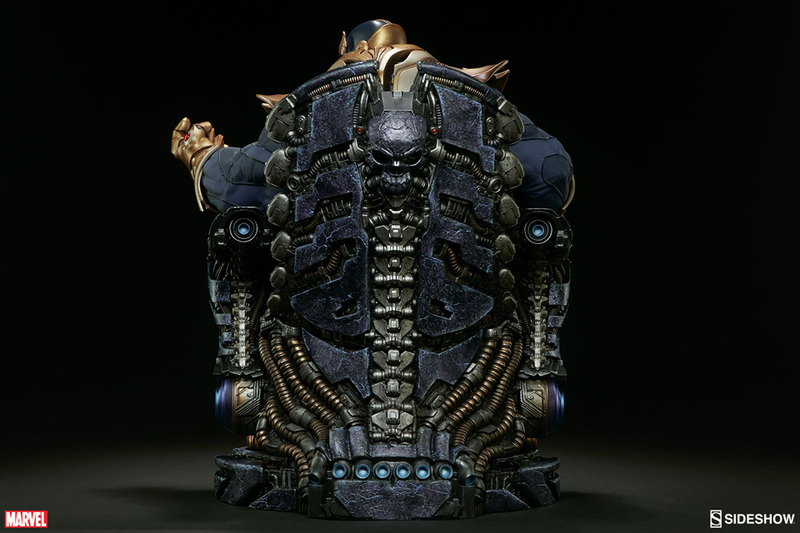 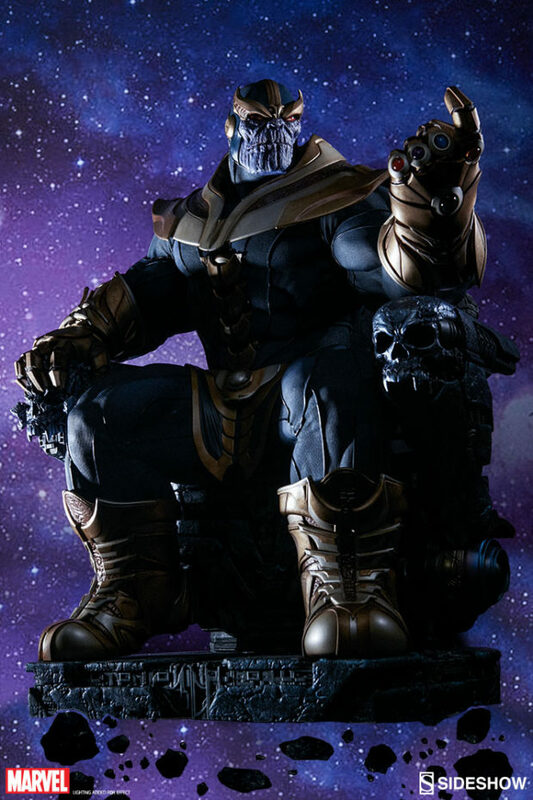 Inspired by the cover of Infinity Gauntlet #4, the Mad Titan is depicted sitting on a high-tech throne adorned with skulls. 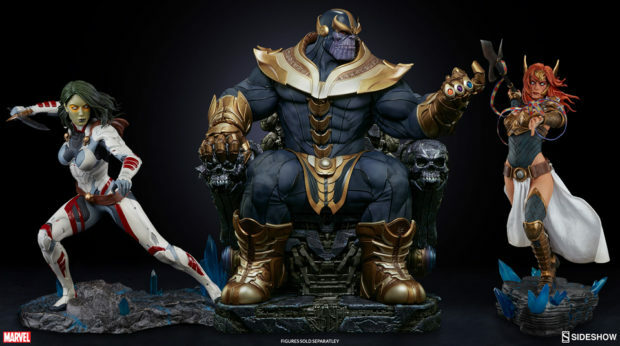 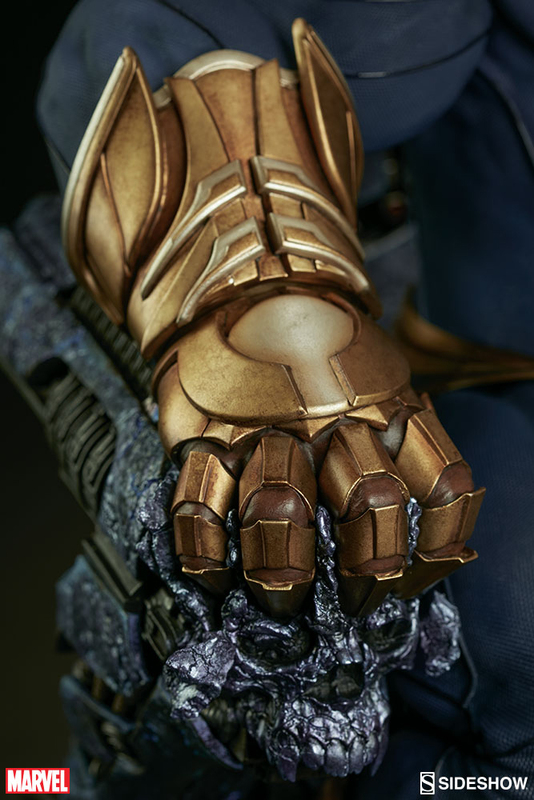 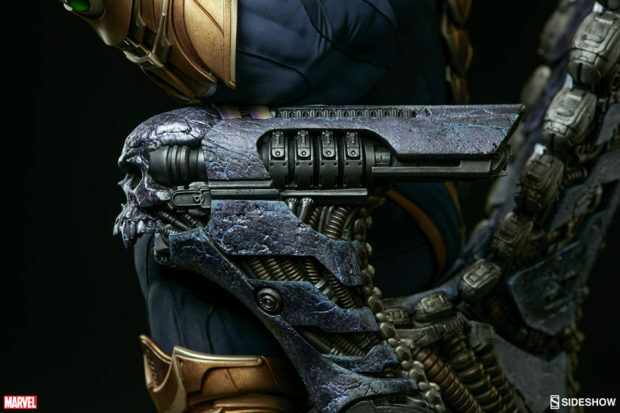 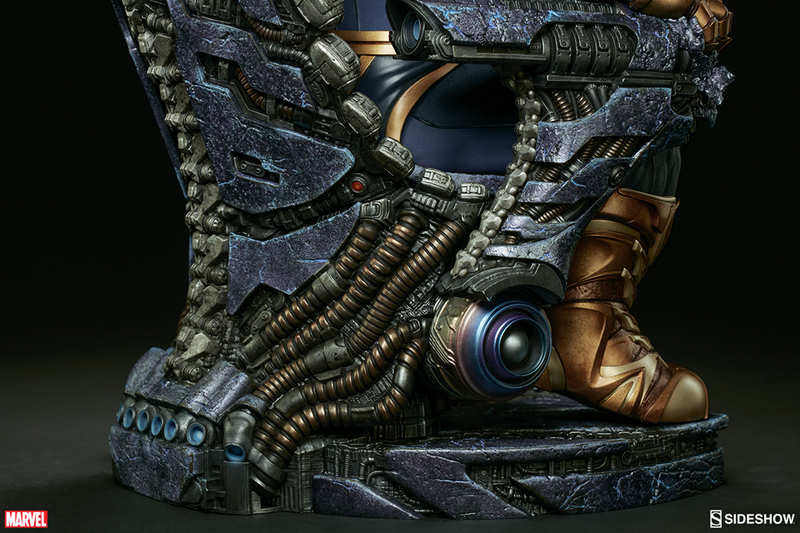 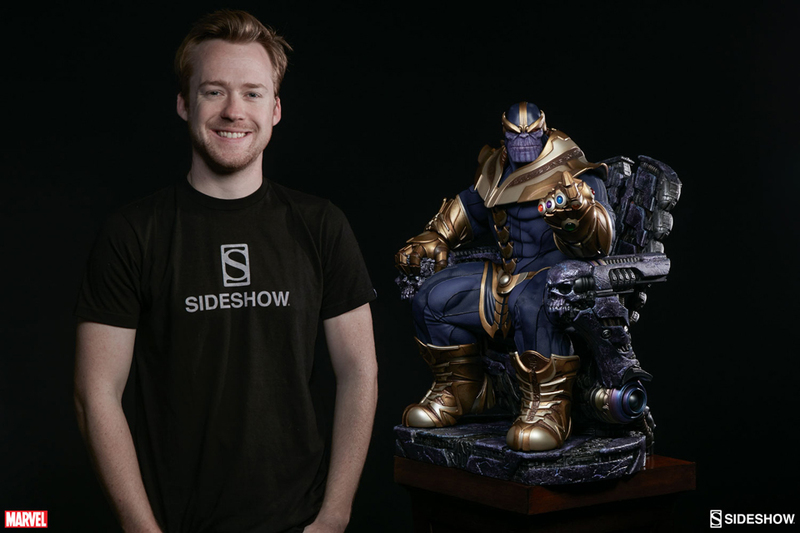 As Sideshow’s artisans said in their behind-the-scenes video, this is practically two collectibles in one because they put just as much work into the throne as in making Thanos himself. The paint job and finishing in both pieces are phenomenal. 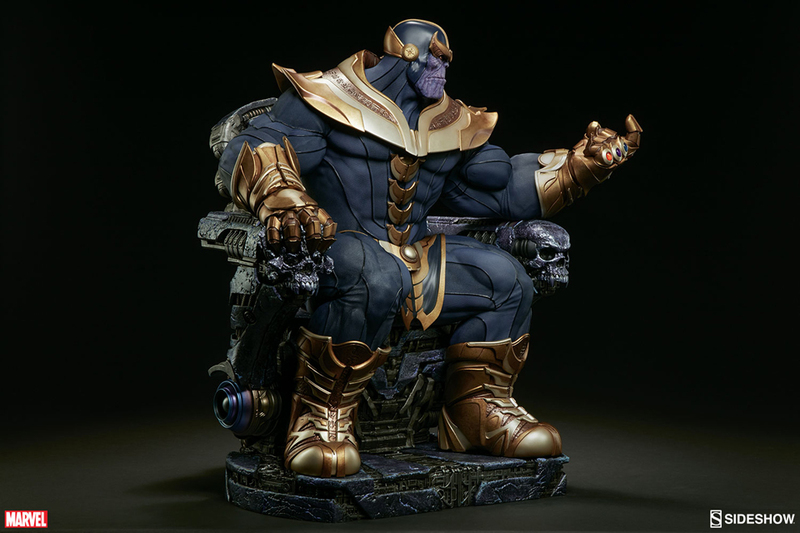 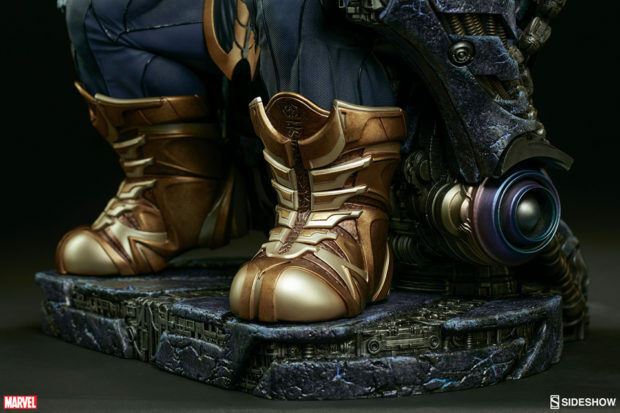 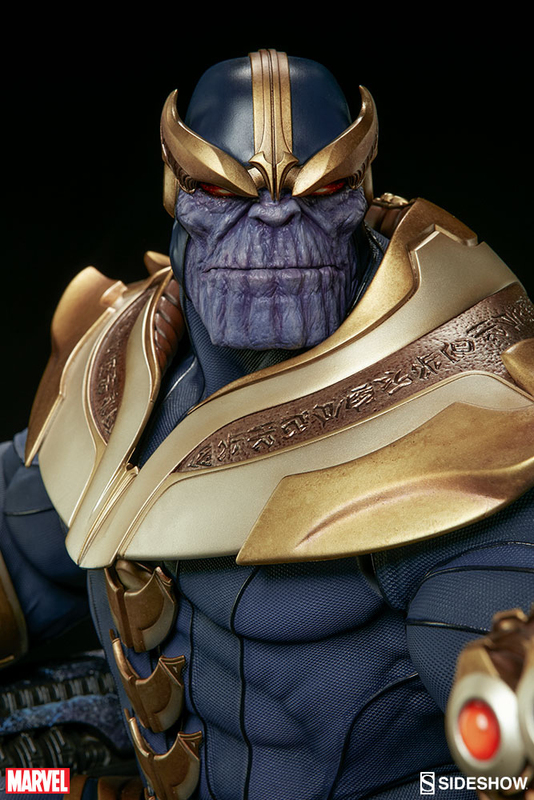 The statue has an Exclusive variant that comes with an extra portrait depicting Thanos grinning, but that’s already sold out. 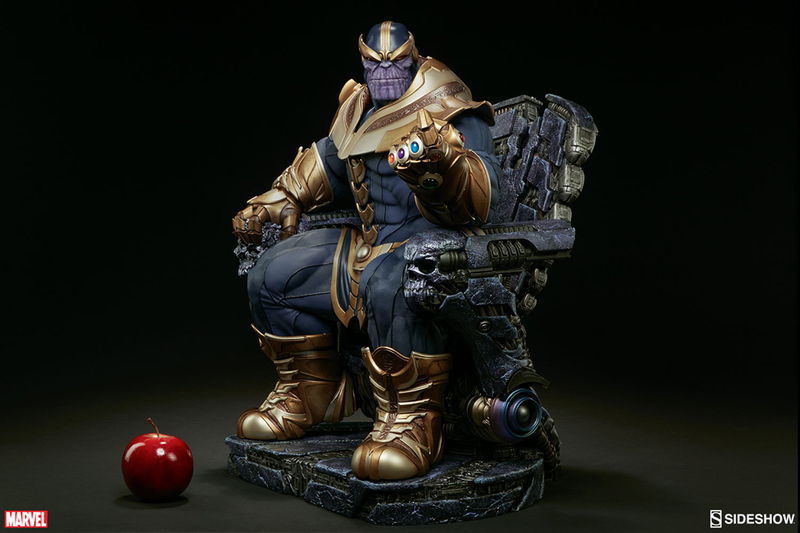 You can pre-order the standard version for $1200 (USD).